Knitters and weavers around the world hanker to get their hands on a skein of Touch Yarn's superfine yarn. 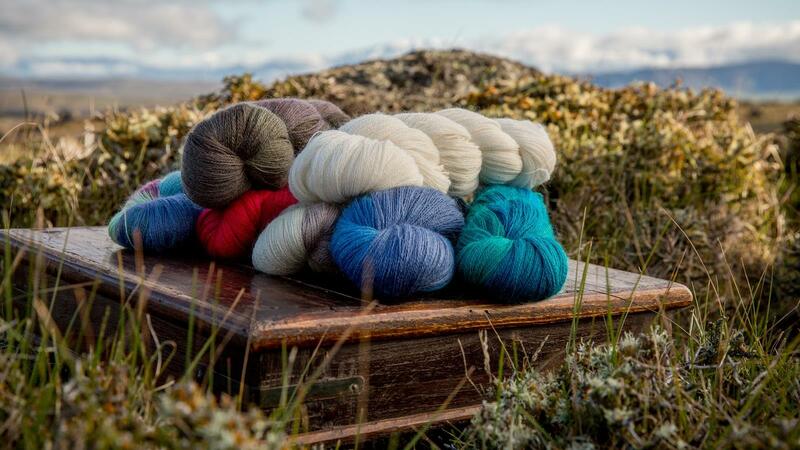 From its Clyde store base, mohair, merino, possum and alpacha fibre is sourced from around Central Otago to fill the company's growing mail order business. Marnie’s story is one of passion and determination, as much as it is of beautiful yarn and success. Marnie began breeding Merino sheep and goats in 1976, before attending the 1989 world congress of black and coloured sheep in Oregon. She took five fleeces and each one took home a prize, including the world champion medium/fine fleece title. It got me thinking. Maybe I could find a niche in the market back in New Zealand. I borrowed thousands and it was hard. It would have been easier to go back to my profession as a dental nurse, but I loved the challenge and I loved my textiles and fibre. It was 10 years of learning, but here I am, all these years later. I wanted to make the best mid-micron wool yarn in the world – and I do. The history of Central Otago is evident everywhere you look. From the sluiced hills and water races to the character buildings and the “rail trail”. Marnie of Touch Yarns went out of her way to celebrate the region’s heritage, when she spied and bought the wooden Clyde cottage that is now her store. I’m a particular fan of old buildings. When I bought my Clyde store in 2011, there were no piles or foundations. So I re-built it – from the bottom up – and celebrated completion with the distinct red door. It’s not a heritage building, but it’s got a lovely history. The family that lived here had 11 children and every one of them has been back since I restored it – a couple of them even stood out front and cried. Like so many other Central Otago businesses, Marnie has built Touch Yarns on a foundation of openness, honesty and quality. She is known for being uncompromising on all counts. I’m fussy. My quality control is so rigid that it’s a miracle things get out the door. Average is not good enough. It’s all part of our integrity – and integrity is far reaching. When the downturn came, everyone was going off shore and the market was really tough. But the only reason I survived was because I had “Made in New Zealand” on my products – and that’s what our tourists want. So often “adding value” is considered only in the purely financial sense. For Marnie, Central Otago’s provenance is a cornerstone of her business’s story and it certainly adds value in the conventional sense. But Central Otago also enhances Marnie’s creative thinking and opens her up to new colours, textures and ideas. I walk up in the hills by myself and that refreshes me. You sit and take a close look at strange little plants and things that are growing – you notice all the colours in them. It’s where I get my inspiration – way out in the Central Otago wop wops.